^ 1.0 1.1 U.S. Bureau of the Census, A century of population growth from the first census of the United States to the twelfth, 1790–1900 (1909) p. 9. ^ Miller and Smith, eds. Dictionary of American Slavery (1988) p . 678. ^ William R. Nester, The Great Frontier War: Britain, France, and the Imperial Struggle for North America, 1607-1755 (Praeger, 2000) p, 54. Greene, Evarts Boutell. 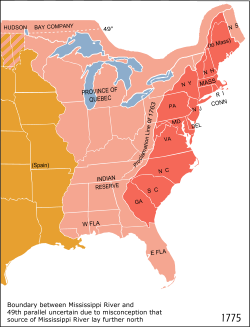 Provincial America, 1690-1740. Harper & brothers; full text online. 1905. Osgood, Herbert L. The American colonies in the seventeenth century, (3 vol 1904-07). Osgood, Herbert Levi. 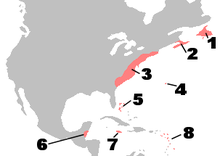 The American colonies in the seventeenth century. Macmillan vol 3 online. 1907.